1. Elijah "Green" Fuller b Sept 1877 Smithsboro, Knott Co KY d about 1929 Knott Co KY; m. 18 Sept 1895 to Margaret Amburgey; d/o Alfred Amburgey and Elizabeth Amburgey. Elijah "Green" Fuller 1877 and Margaret Amburgey are found in the 1900 Knott County, KY Census in HH #5-5 in Magisterial District No. 2, Carr, Enumerated June 30, 1900. Elijah Green Fuller 1877 m. 29 Mar 1909 Smithsboro, Knott Co KY to (2) Leona Smith; d/o Hilliard Jackson Smith and Armelda "Melda" Combs. ii. Martin Young had a barber shop on Lotts Creek. 3. Alverta Fuller b. 1896 died at age 4. Great Grandpa Elijah "Bunt" Fuller married 3rd to Elizabeth Amburgey. Elijah Bunt Fuller and Elizabeth Amburgey are found in the 1900 Knott County, KY census. Elijah "Bunt" Fuller, was in the Civil War and served in the 13th KY Cav Co C and 13th KY Cav Co B. According to our Mom, Ida Fuller Potter, he also served on the Union side in the 3 Forks Battalion as a Corporal. Additionally, he was a substitute for another person in the Civil War perhaps on the Union side. Mom (Ida Fuller Potter) also states that Grandpa Bunt Fuller was captured and made a bold, successful escape, running over four or five guards to escape. Other statements of importance; Mother reported that one of her Grandfather's was on the Union side and the other was on the Confederate side. Our Mother (Ida Fuller Potter) made the following statement that is significant in that it explains the political positions of the two sides of those in the Civil War; She said, "Grandpa Bunt went in the service as a Democrat and came out a Republican." 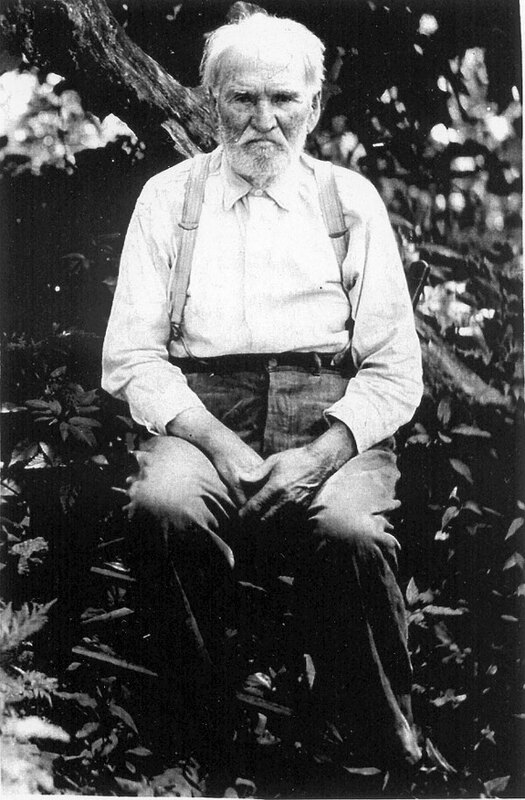 Grandpa Bunt served in the Confederate Army in the Civil War. Elijah "Bunt" Fuller was a considerable hero in the Civil War according to our mother. She said that everyone around them who knew her grandpa was very proud of him and his Civil War service. Mother also spoke often of how her grandfather, Elijah "Bunt" Fuller saved her from being trampled to death by a raring horse. He jumped up and got between her and the horse and with his arms outstretched and reaching back to keep her from getting near the horse, he somehow calmed that horse down. Mom has always talked about that incident because she was so close to getting killed by that horse that it left an indelible impression on her mind. She loved her grandfather very much. She said that her grandpa could jump up and click his heels together at the age of 88 years. We believe Martha Combs may possibly have been living in North Carolina at the time of our Grandfather Fuller's birth. 259-266 Fuller Hosey Son M W 8 ? Ky md. Adaline Combs, 14 July 1904 Perry Co., Ky.
259-266 Fuller Doctor Levi Son M W 6 ? Ky m. Cynthia ?